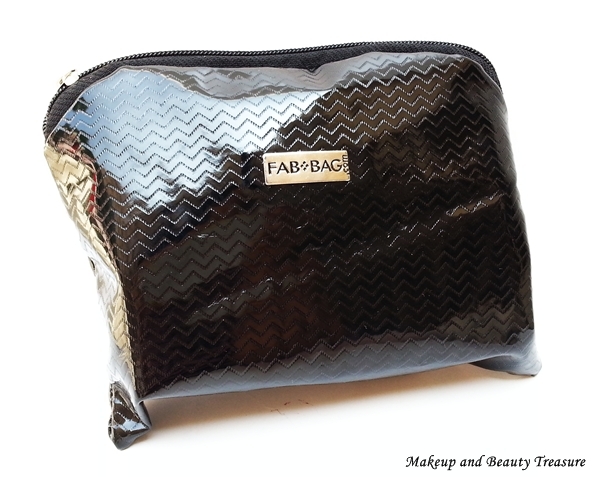 It’s that time of the month again when I review Fab Bag. The best thing I love about Fab Bag is their bags. Of course I Ioved their makeup products too. This month I was pretty excited about Fab Bag as you got to choose a full sized skin care product of your choice. I chose Votre Intensive Brightening Masque but was disappointed when I saw it was missing in my bag. The Fab Bag team is super awesome and they shipped my product the next day! It is based on the theme “Up Your Game”. Fab bag November 2015* is priced at 599 INR per month and you can buy online HERE. This month Fab Bag is of shiny black material and feels smooth on holding. It has chevron pattern over it that does not make it look boring! This bag is great for traveling and yes I have packed previous month’s Fab Bags for my honeymoon. This time Fab Bag team forgot to put my card that tells what products are included in the bag. It came with the products and a Fab Post! I love reading the tips and tricks from Fab Post! Let us see the quick preview of the products included in the bag. It is a full sized product. 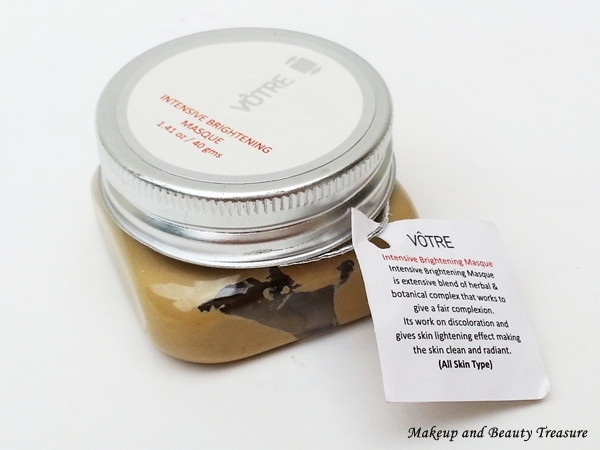 I was given a number of options of skin care products and I planned to choose Votre Intensive Brightening Masque. My wedding is near so I need something that brightens up my face. I am so excited to use. I will do an in-depth review of this mask later. 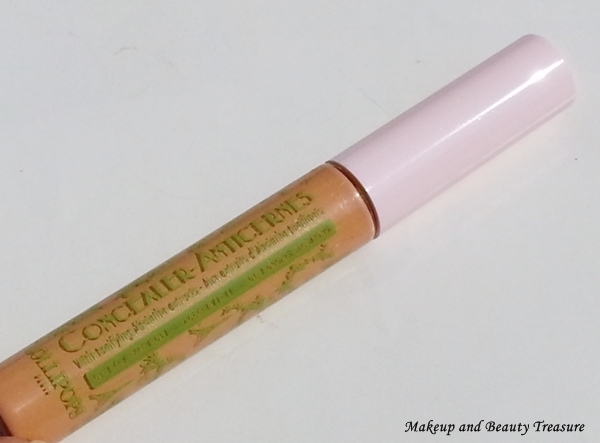 It is priced at 490 INR and covers half of the price of beauty bag! I am a huge fan of candles and own lots of them. I have never come across body massage candle and was pretty excited to find it in the bag. It smells divine and I am pretty excited to use it after my marriage *laughs*. 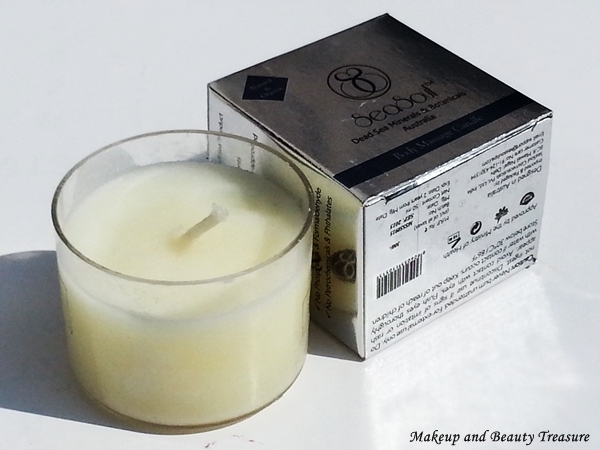 It is priced at 300 INR for 50ml. It is also a full sized product and priced at 800 INR. It is more than the price of the bag so you are definitely getting more than what you are paying off. I got the shade ‘Ginger’ that I feel is darker than my skin tone. I am yet to use and will review it in detail. It is a sample sized product. It does not interest me much as I have never been fan of fairness products. Amy be I will use it for my blemishes! I got this product in May 2015 Fab Bag. I wonder why they repeated it! It is also a sample sized product. 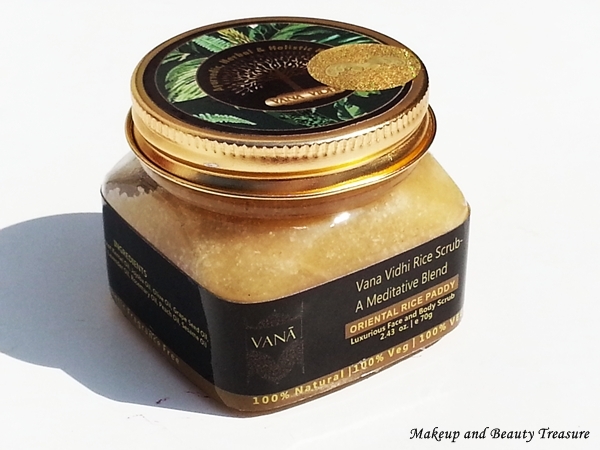 This scrub is super smooth and makes my skin super soft and smooth especially in this cold weather. • You get products worth more than what you pay for. • 3 full sized products! • The bag is great for traveling. • A perfect gift for a girl! Mind you Christmas is coming! • I wish there was no fairness product in the bag! 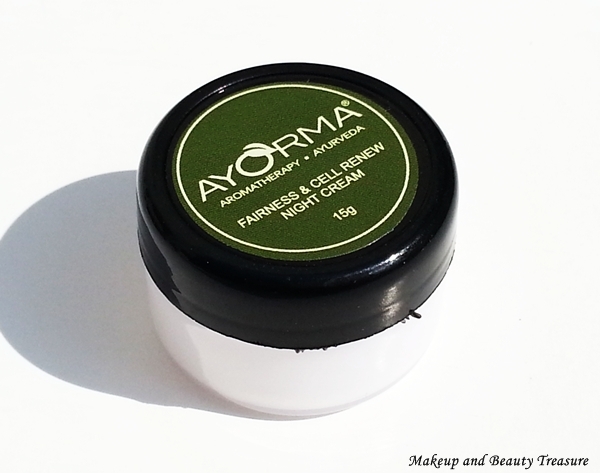 But let me tell you Ayorma products are “natural”! 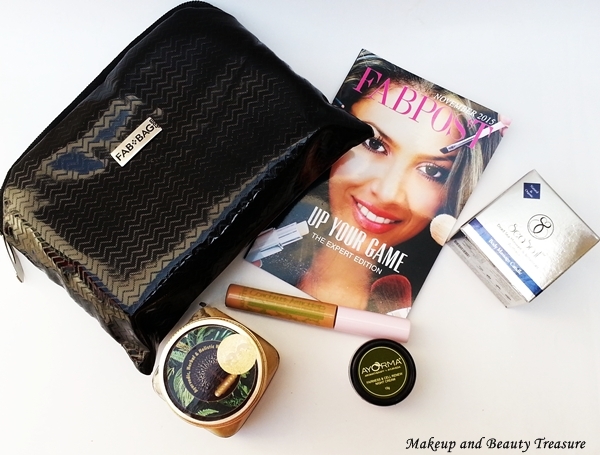 I loved November 2015 Fab Bag! Though I won’t say it is the best Fab Bag among all but I loved they included 3 full sized products this time. If you love trying new products that are sometimes difficult to find in India then I would definitely recommend it to you! Did you like November 2015 Fab Bag? Which product did you like the most?